SACRAMENTO, CA — Two bills out of California attempt to regulate the medical marijuana industry – a trade that has been referred to as the “Wild West” of its time. Many cannabis businesses in California have gone, since the start, without a benchmark or standard to follow, nor a regulatory agency to oversee performance. SB 1262, a bill introduced by Senator Lou Correra (D) and sponsored by the California Police Chiefs association and the League of California Cities. Within this proposal, businesses will be required to acquire adequate security measures to protect themselves from theft. This bill also will prohibit misleading advertisements regarding physician recommendations. However, there were other provisions initially introduced with this bill that caused concerns. One clause being that no physician could recommend butane hash oil (BHO) to be dispensed as medicine. Although this particular clause has since been stricken, it begs the question of the bill’s original intention. Adjacent to the senate bill, AB 1894 was introduced by Assembly member Tom Ammiano (D). This bill will grant the ability to register and license various positions in the industry, as well as a 24-hour searchable database for law enforcement to access. Opposers have stated AB 1894 seeks to preempt and prohibit local government, forces communities to open cannabis facilities, and prohibits local governments from zoning or suspending licenses. However, Ammiano says each of these accusations are not true. Be that as it may, the underlying problem that can not be agreed upon is the agency chosen to manage the medical cannabis market. 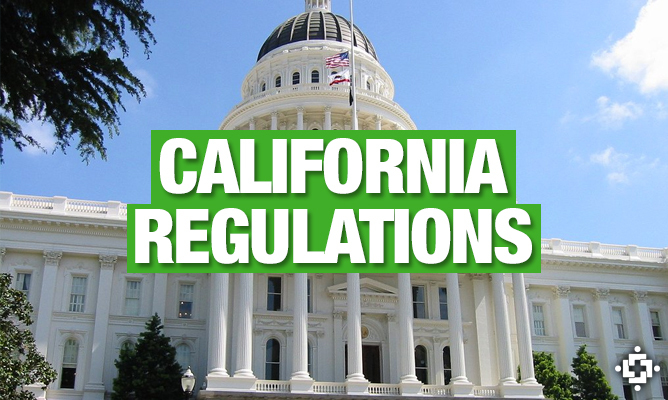 Who Will Conduct The Regulations Under AB 1894? The California Department of Public Health (DPH) was the agency originally chosen For SB 1262. According to Donahoe and Ammiano, the Alcoholic Beverage Control (ABC) department wanted to take on the project of implementing regulations for the cannabis industry. On the other hand, John Lovell of the California Police Chief Association recently cited a situation where the ABC took four years to revoke a liquor license for a shop that reported 124 liquor related arrests. The League of California Cities agreed with his opposition, adding that the ABC is granted too much power in the bill’s language. Accordingly, SB 1262 is set to be amended to eliminate the need for an entity all together. This stands to make all licensing (and enforcement) dependent on local ordinances and other regulations. The amendments also are expected to include enhancements to protect counties that have any enacted bans. Supporters claim it can reduce state cost, and that it can be implemented for a fraction of what AB 1894 costs. Another point made by Donahoe was the importance of eliminating what legislators are calling, “bad actors”.